Linda Kernan: The history of the soybean and its byproducts stretches back more than 3,000 years in China. The humble soybean was known as the “Cow of China” because it was the main source of protein for the Chinese people. It took a local man, however, to spot the potential of the little bean and transform it into the most popular drink in Hong Kong today. Amazingly, its Tuen Mun factory churns out 540,000 litres of beverages a day, equivalent to one and a half a million packs of drinks. The name of the company is Vitasoy. The story of Vitasoy began in 1939 when Dr Kwee Seong Lo became involved with Chinese refugees. He was concerned about the malnutrition of children and the fact that many Chinese immigrants were lactose intolerant. Soy foods were traditionally known as “The meat without bones” meaning they were a rich source of oil, proteins and calories. Dr Lo believed soy milk could help the poor and malnourished. In 1939 Dr Lo and four of his friends formed the Hong Kong Soya Bean Products Company (HKSBP) with capital of HKD15,000. 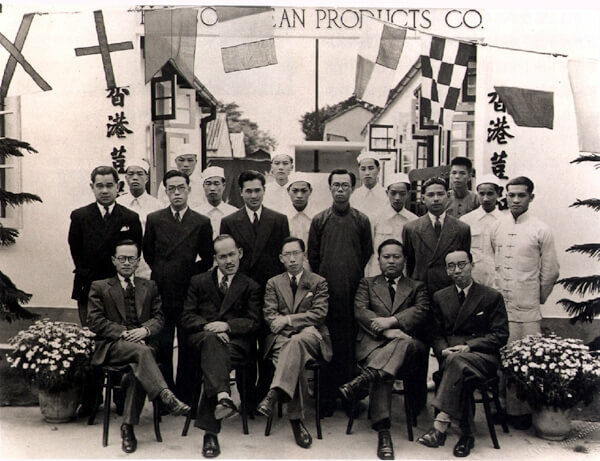 The original plant and processing equipment were designed by these founders and the company was located in Causeway Bay. It officially began operations on 9th March 1940. The day after, exactly nine bottles of the product, Vitamilk, as it was initially named, were sold, at six cents a bottle. The company employed a dozen boys on bicycles to deliver the bottles door-to-door. They had to be sold quickly or the milk would spoil. A year later, the sales figure was still only a mere 1,000 bottles a day. The company had to suspend production during the war, and the factory was occupied by the Japanese, but on returning to Hong Kong two weeks after their surrender, Lo found most of the production equipment intact. He borrowed HKD50,000 from a friend and by November 1945 Vitamilk was again in production. The product was now sold through retail outlets, reaching the mass market. The loan was paid off within a year, and by 1949 the company had accumulated enough capital to buy a piece of land in Aberdeen and started to build a new plant. However, before it was finished HKSBP had acquired the franchise for Greenspot, a large California-based manufacturer of orange concentrate. When the Aberdeen factory opened in 1950 it was used for bottling of Greenspot orangeade while Vitasoy remained in the Causeway Bay factory. Three years later, Vitamilk was further improved by the introduction of sterilisation, meaning the product did not need refrigeration. Business boomed and in 1962 a new 6-storey, 300,000 square foot factory was opened in Kwun Tong doubling production capacity. By the end of the first year it was already operating at 90% capacity. 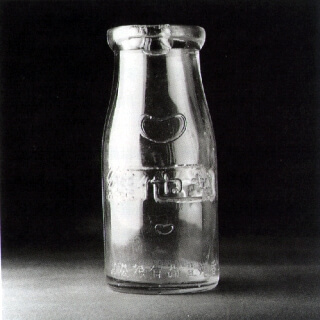 Production used the most modern, mechanized equipment, including a continuous automatic sterilizer for the sealed bottles. By the late 1960s Vitasoy had captured 25% of the Hong Kong soft-drink market, and in 1968 an estimated 78 million bottles were sold, second only to Coca Cola’s 100 million. In the mid-seventies, there were two innovations. Firstly, the product was packaged in the new Tetrabrik Aseptic Packaging, which was constructed of seven layers of paper and plastic coated material. Secondly, the milk was UHT (ultra high temperature). These factors meant the milk had a shelf life of six months. Consumers found the new packaging to be both convenient and hygienic and sales boomed to four million cases each year. 1987 saw the Group relocate once again, this time to a new plant in Tuen Mun. This 1987 computerized facility, one of most advanced production plants in the region, involved an investment of HK$100 million and a purpose-built structure of 366,000 square feet. Dr Lo died in 1995 and was succeeded by his son Winston. In 2012 Vitasoy International Holdings Limited employed over 3,000 people with total sales of USD478 million and operations in Australia, China, and the USA as well as in Hong Kong. This is one traditional product which is not going to die out. This article was first published in the Indhhk email Newsletter 6 sent out on 4th May 2013. I remember Vitasoy also made Pepsi for a period of time, but I am uncertain if that came with the Greenspot franchise. I believe the Pepsi franchise replaced the Green Spot one with Vitasoy in 1957. And Vitasoy decided to relinquish the Pepsi franchise in 1976 in order to concentrate on producing their own range of carbonated drinks under the Vita brand name. Exact dates would be helpful. Vita soda beverages line. I remember they have at least three of those. A Cola clone, a 7-up/Spirit clone, and some sort of an Orange flavoured one. I’m sorry I could not remember the exact start and stop dates. However I remember at least the Cafe de Coral chain used to serve the Vita soda beverages. They switched to the Coke line after the Vita soda line ceased. I am uncertain about the Fairwood chain despite both are operated by branches of the same Lo family. Sorry again, I could not recall any dates.